Our mausolea includes both crypts for full body entombment and multiple columbarium with niches for cremated remains. Please contact us for more information on any of these options and the pre-planning process. Not sure about your options? We have counselors available to help you answer any questions & plan for peace of mind. 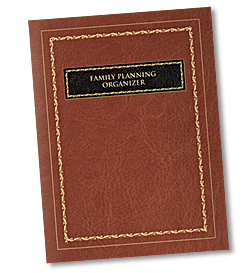 Our Family Planning Organizer is FREE to everyone, request one today!